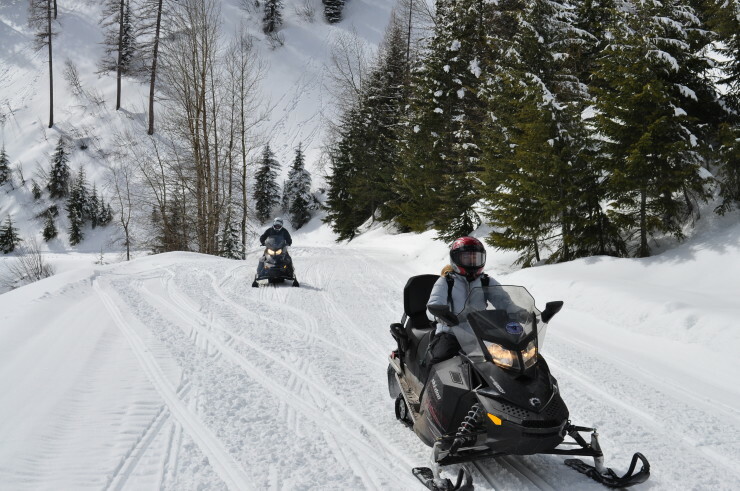 Swan Mountain Snowmobiling is pleased to offer two hour, half day and full day guided trail tours on the Canyon Creek trail system. 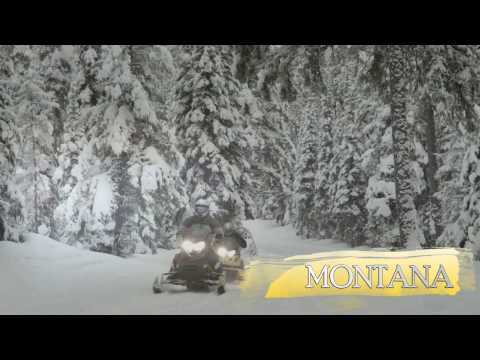 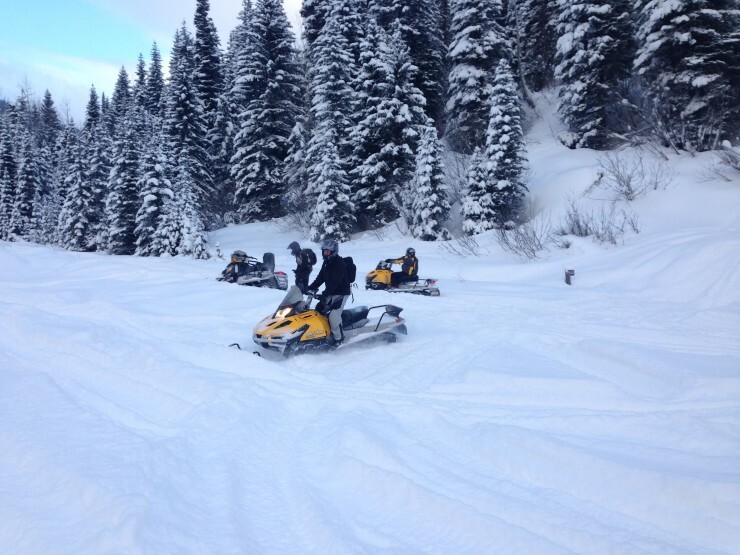 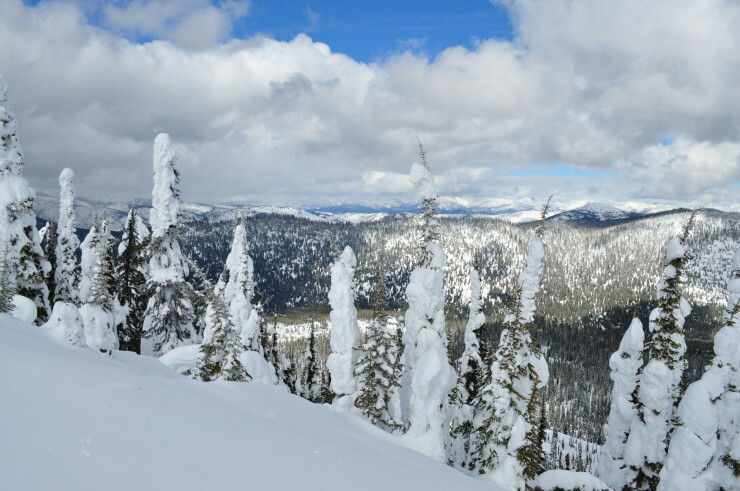 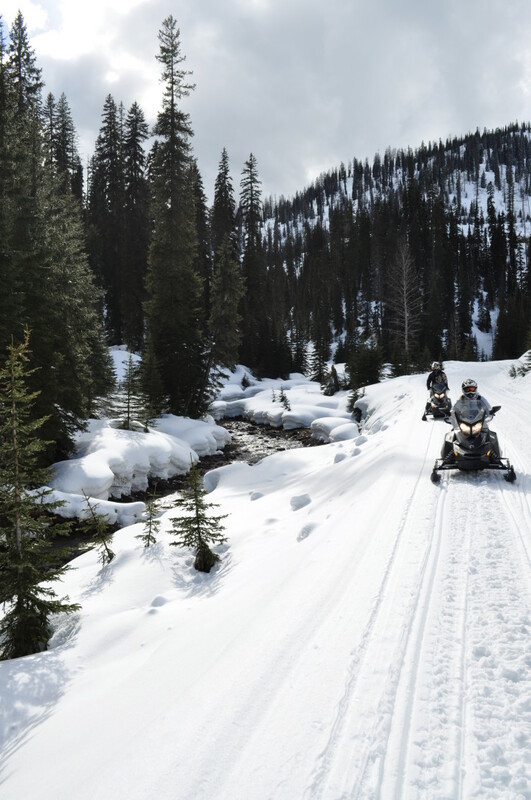 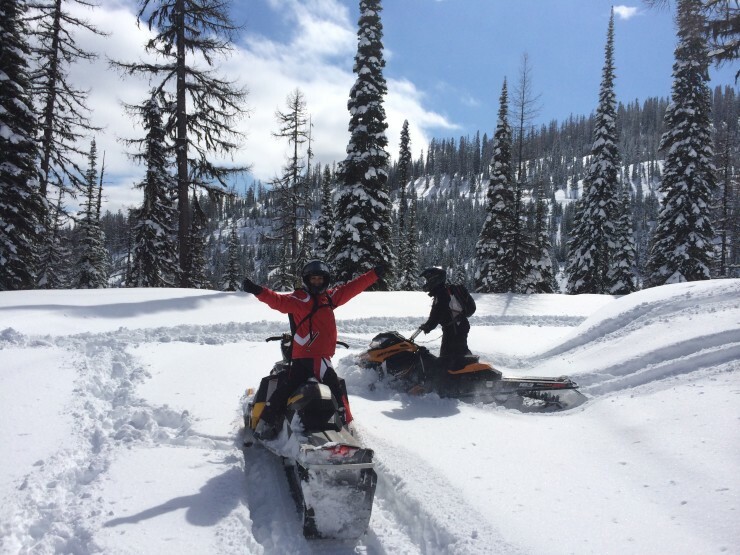 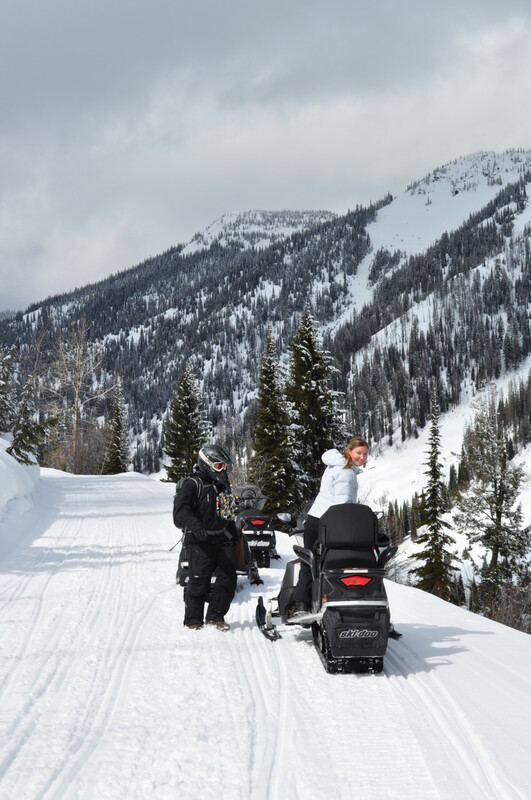 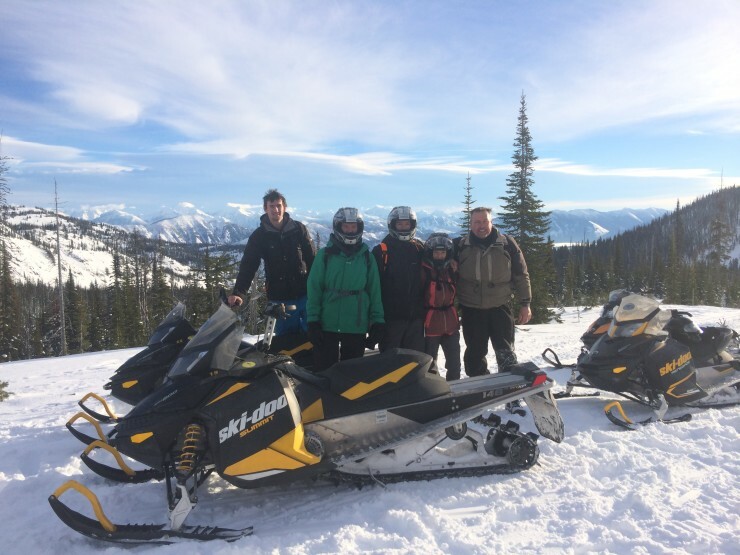 Located on the North Fork of the Flathead River drainage, the Canyon Creek trail system offers some of the best snowmobiling in Montana. 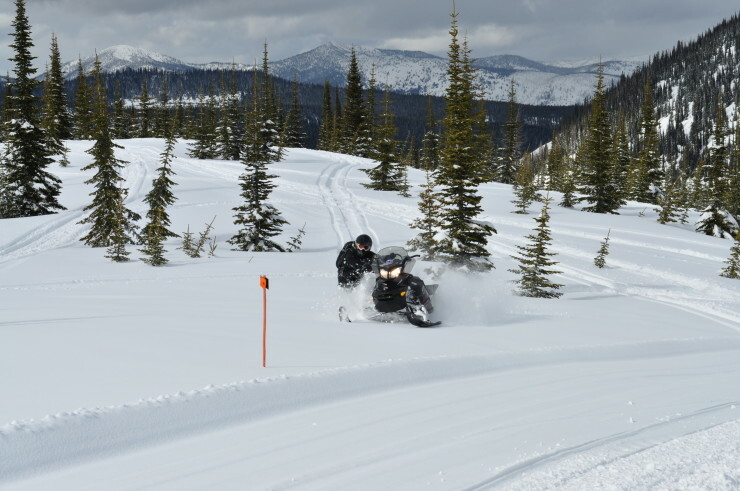 Explore over 80 miles of marked and groomed trails on the Flathead National Forest as well as an abundance of mountain riding. The Canyon Creek trailhead begins 5 miles north of Columbia Falls on Forest Service Road 316. The trails wind through pristine alpine forests, along ridges with outstanding views and into deep powder bowls. The trails eventually arrive at the summit of Whitefish Mountain Resort on Big Mountain. 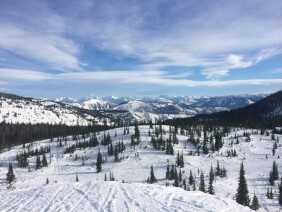 Once you reach the top of Big Mountain, treat yourself to a warm drink at the Summit House complete with awe-inspiring views of the Canadian Rockies, Glacier National Park and the Flathead Valley. 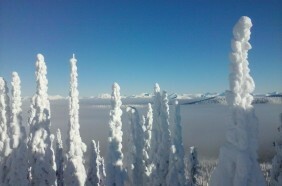 To see current conditions visit the SummitCam. The Canyon Creek trail continues on past Big Mountain, crossing Werner Peak to connect with the Olney Creek and Taylor Creek trails. 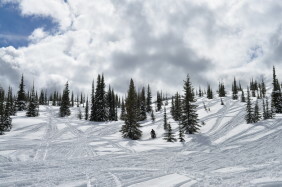 These trails link to Upper Whitefish Lake or into Kimmerly Basin, known for their scenic vistas. View the USFS Snowmobile map of the entire Canyon Creek trail system by clicking the map link below. 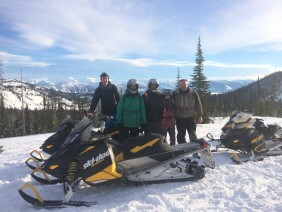 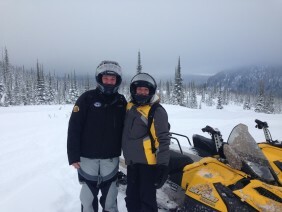 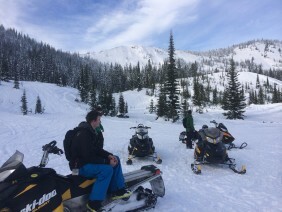 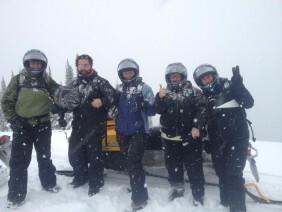 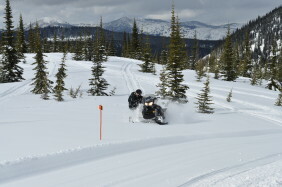 We offer two hour, half day and full day guided snowmobile trail tours in Canyon Creek on a wide range of terrain guaranteeing that each Canyon Creek trip is unique and memorable! 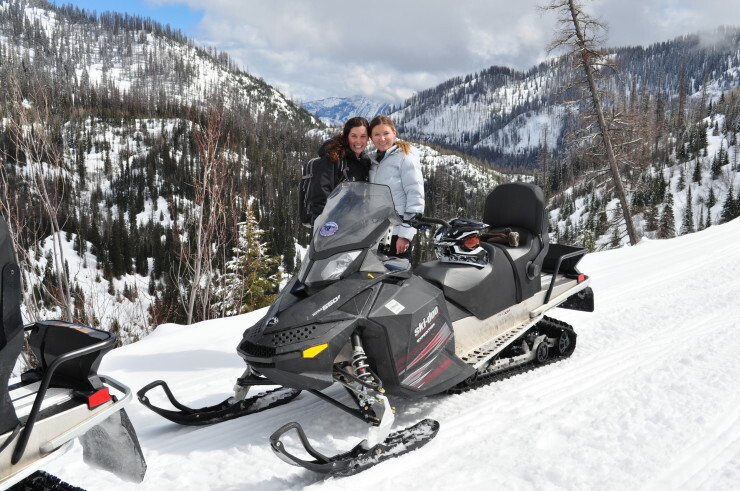 The most recent addition to our Canyon Creek snowmobile offerings is truly one-of-a-kind! It’s officially the longest continuous guided tour in Glacier Country, starting North of Columbia Falls and ending in Olney, (Northwest of Whitefish). 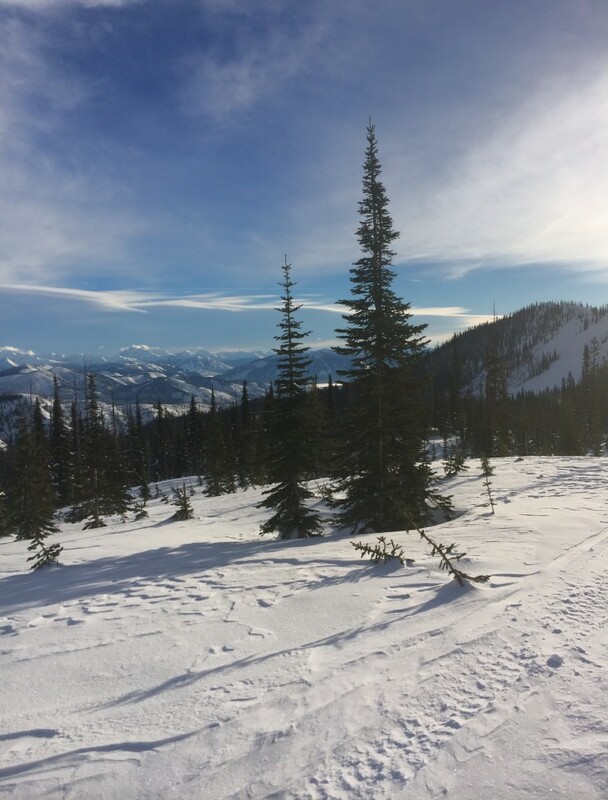 This full day guided tour connects two different forest systems (Flathead National Forest and Stillwater State Forest) for double the scenery! 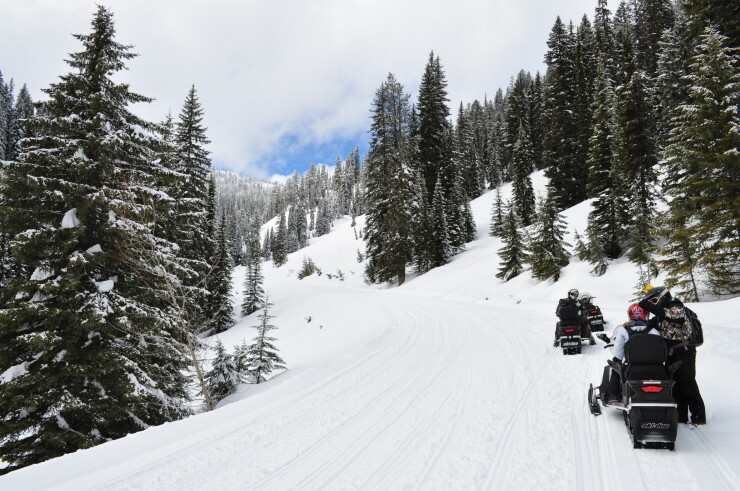 The journey begins with an 8:15 a.m. check in at the Canyon Creek trailhead. 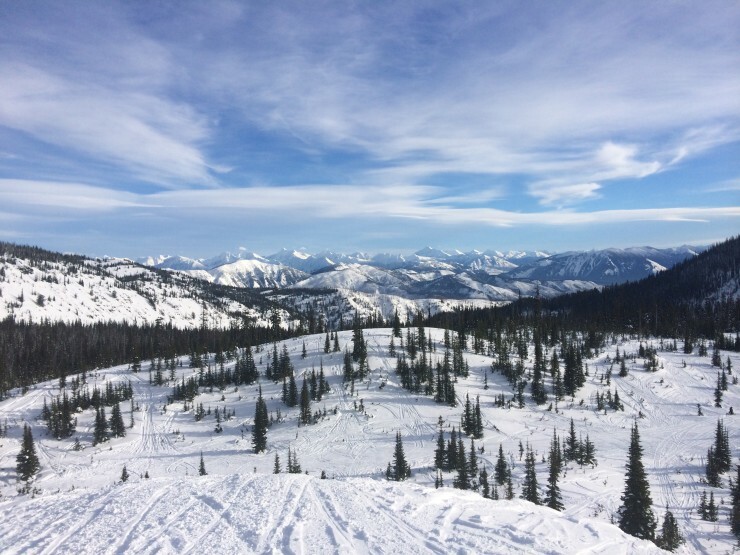 As we traverse up the mountain you’ll take in majestic views of the Canadian Rockies, Flathead Valley and Glacier National Park. 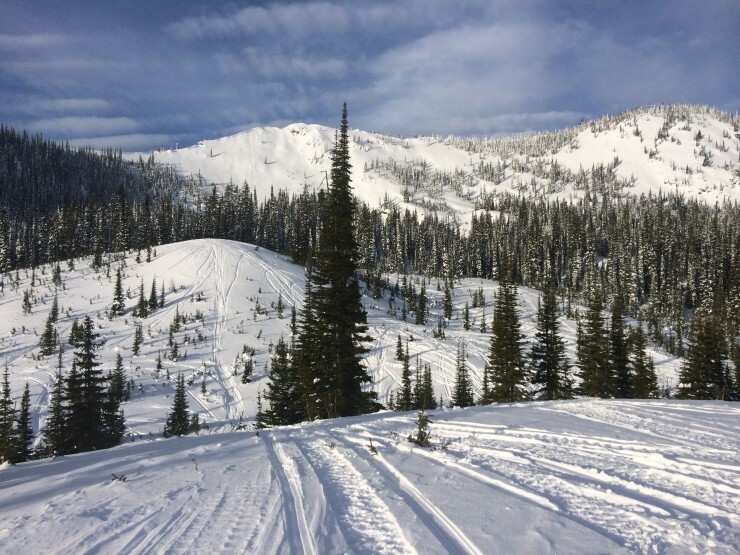 By the time you’ve reached the Summit of Whitefish Mountain Resort on Big Mountain, you’ll have worked up an appetite so we’ll grab a hot lunch and warm up at the Summit House. 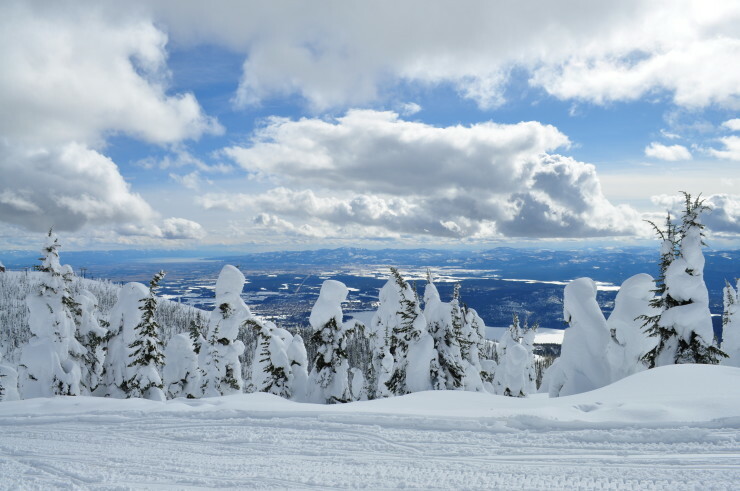 For the second half of the day, we will take in a view at Werner Peak Lookout and then make our way through the Stillwater State Forest with its picturesque vistas of the Flathead Valley and Whitefish Lake. 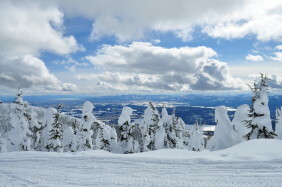 We’ll conclude our trip just as the sun starts to set around 5:00 p.m. 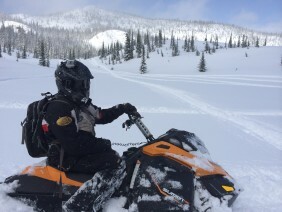 This exclusive tour is titled, “The Great Northern Ultimate Tour.” It’s only offered as a guided tour and is priced at $250 per snowmobile plus $250 for the guide and requires a minimum of 2 sleds.